Teaching Activity. By Gayle Olson-Raymer. Questions and teaching ideas for Chapter 9 of Voices of a People’s History of the United States on black and white resistance to slavery before the Civil War. In the PBS documentary Africans in America, historian Margaret Washington says, “In some ways, when you enslave a person, you enslave yourself.” If everyone in pre-Civil War society was victimized by slavery, it should come as no surprise that some Americans, both black and white, resisted the “peculiar institution.” Yet these stories of resistance are largely omitted from traditional classroom discussions about slavery in pre-Civil War America. When resistance is examined in many classroom settings, all too often it is from the perspective of the white abolitionists — those who supported Frederick Douglass and made the Underground Railroad a reality. The voices and actions of ordinary free and enslaved African Americans who defied the system — who risked their lives for freedom — are rarely included in traditional classroom analyses of slavery. “How can their voices be silenced?” students ask. “Why have I never heard of Nat Turner before this class” These are good questions. Students usually determine that the fear engendered in many Americans tells them that if we learn about and celebrate defiance of the law, and if we question the actions of our historical leaders who made the laws, we are being unpatriotic. Yet, in the spirit of revolutionary America, what could be more patriotic than fighting for freedom? 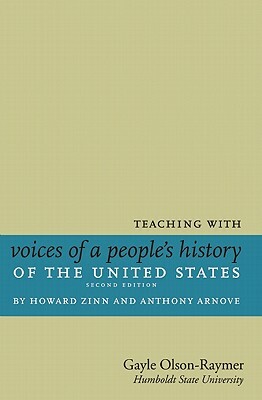 Reprinted from Teaching with Voices of a People’s History of the United States, published by Seven Stories Press. Teaching Guide. By Gayle Olson-Raymer. 2011 (second edition). 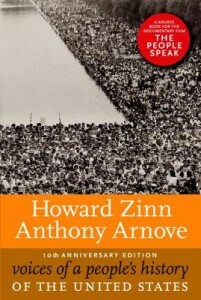 Suggested questions and teaching ideas for each chapter of Voices of a People’s History.